Your customer experience is the key to creating powerful connections with people, at the right time and in the right way. As specialists in Business Process Outsourcing (BPO), and the Contact Centre industry, we know how to deliver the best Customer Experience at all times, regardless of channel and how to meet changing customer demands. Over 35 years’ experience in delivering multi-channel contact centres, with the right blend of people, technology and processes. Customer management solutions to deliver brilliant customer experiences, aligned with your brand vision. Achieve improved efficiency and gain access to the best skills and top innovation, so you can focus on your core business. We’re all about providing easy, positive and brilliant customer experiences, so you can focus on what you do best. Whether you need our help with a specific service element, or full customer lifecycle management, we’ll help you transform your customer relationships and deliver real business value. We manage staff recruitment, training and management, so you don’t have the overheads and extra administration to worry about. As your contact centre partner, we’re focused on your business success, we take the knocks and reach the targets by giving you the benefit of expert staff, industry best practice and innovative technology. Our flexible sourcing options mean you only pay for what you need. We’ll integrate with your systems and offer in-depth analytics, giving you meaningful reports and insights, to help you make better decisions that will grow your business. We can also provide other system solutions. 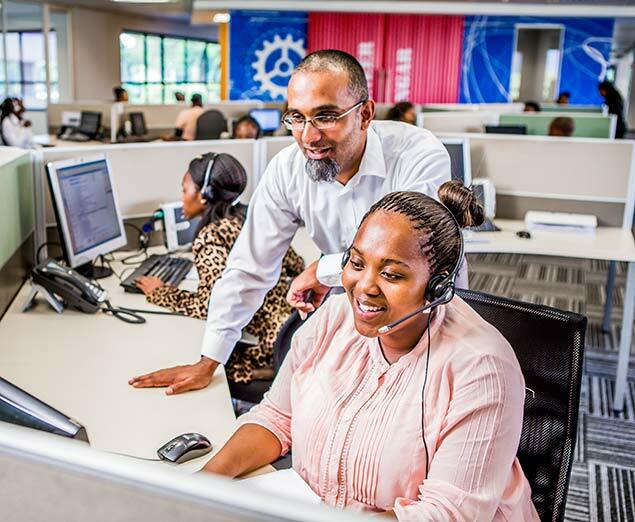 Choose from our full contact centre service and facilities, or our tailored solutions for service desk, digital business, quality management, consulting and workforce management and quality management. To find out more about our flexible range of customer experience management solutions, please be in touch with us. If you are looking for a business partner that stands by your side and is more than just an Outsource provider. Contact us to find the best way to work together. Yes, you can contact me using the above details (including via email and telephone) about the products and services of Merchants, A Dimension Data Company.